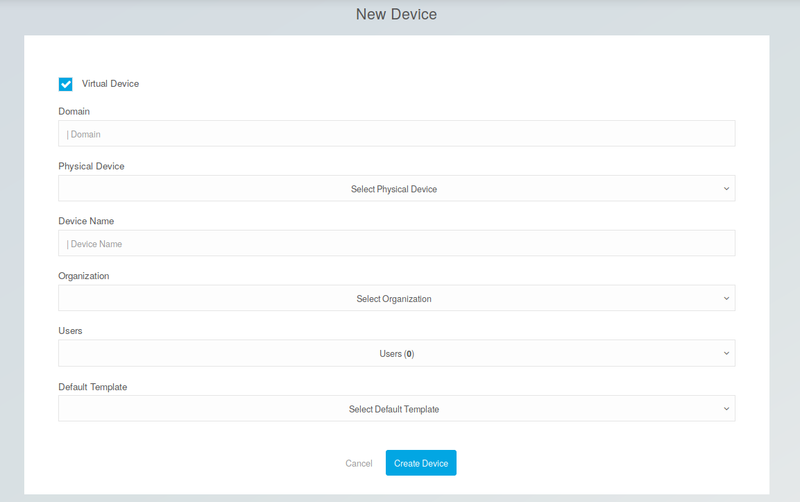 From within the Devices overview screen you can add, edit, lock or remove a device. 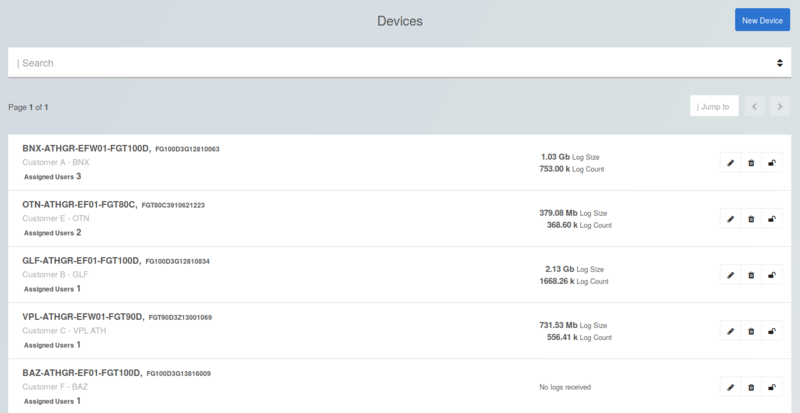 To edit or remove a device you have to use the action buttons located on the far right of each row in the table list in the Devices overview screen, as shown below. For your convenience, tooltips appear when hovering over the buttons with your mouse cursor. To add a New Device, click on the New Device button at the top right of the screen. 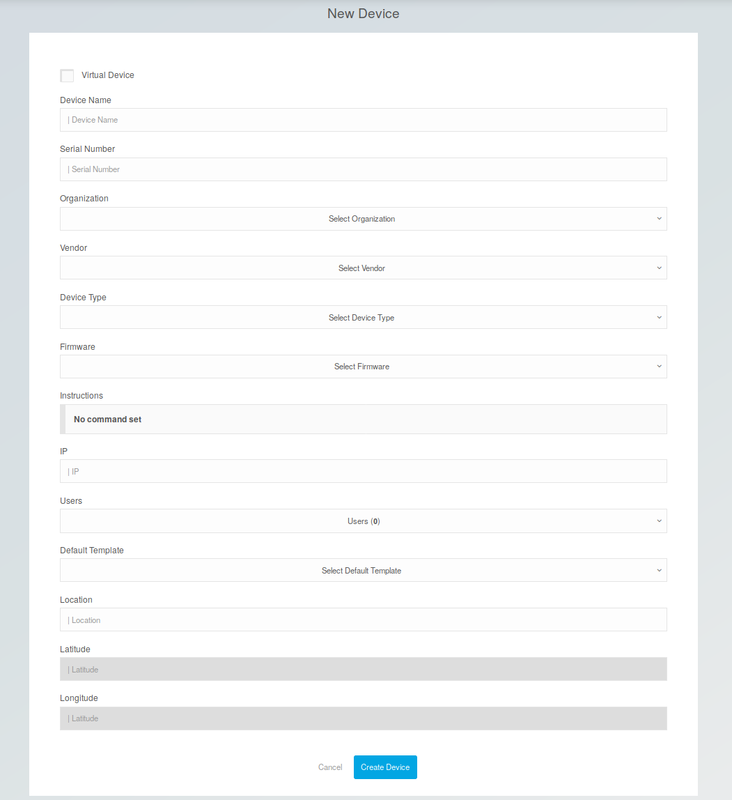 To add a New Virtual Device, tick the “Virtual Device” check-box in the “New Device” form. Virtual device IP and location are inherited from parent physical device attributes.